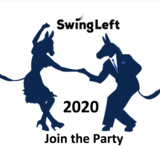 WHAT: Join Swing Left volunteers to swing CA District 10 Blue by electing Josh Harder to the House of Representatives in November, a part of the SwingLeft effort to win 23 House seats nationwide. Volunteers will actively engage in conversations with Tracy residents about current issues with the goal of identifying supporters, getting pledges to vote for Josh Harder, and updating voter registrations. This is one of the important ways we will swing this district! WHERE: Various locations in Tracy, including the Farmer's Market. WE TAKE CARE OF TRAINING: Don’t worry if you’ve never done this before, we’ll cover everything you need to know. We send training materials in advance so you can get a head start, and provide in person training at the Tracy office before you go into the field. Then we team you up with a Field Lead and a partner, so you have a great experience!